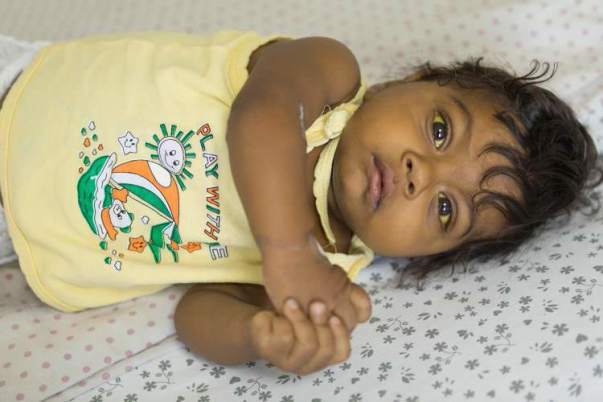 Umeshwar's liver condition was caught a few months late, but those few months mean life and death for this 6-month-old baby. His father Jithendhar is an autodriver in a village and his son's bad health has brought him to Hyderabad for treatment. Jithendhar and his wife Shravanthi are worried sick for their baby – who is critically ill and awaiting a liver transplant. Umeshwar is his parents' first child. He was born with yellowed eyes and his parents thought he had the jaundice pretty common in newborns. They gave their baby ayurvedic supplements and herbal medicine – but his condition only got worse. By the time he was 3-months old, his liver was completely damaged. 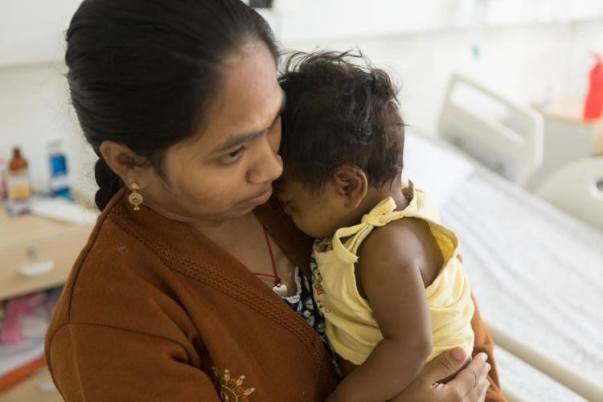 Now, 6-months-old, his parents spend sleepless nights and days doing everything they can to save him. “The doctor gave me a form to fill to apply for some government schemes. I have the form but I haven't managed to write in it. Baby needed new blood so I had to go to the blood bank and bring it back. Then I arranged for documents. There is so much tension – we both are no longer able to decide what is the most urgent thing we need,” explains Jithendhar. 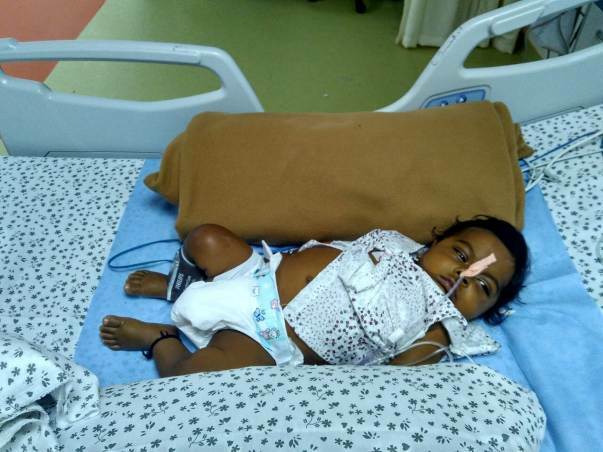 Umeshwar has Biliary Atresia and it has turned critical. He needs an immediate liver transplant to make it now. He has become dull and lethargic – barely moving or eating. His stomach is painfully swollen and his stool is white unless it is black with blood. The only end to his suffering is an immediate liver transplant. Jithendhar is an autodriver in his village in Telangana who earns Rs 6,000 if he has managed to find work every day. He always wanted to visit the city, but never imagined that his son's terrible health is what would finally bring him to Hyderabad. His wife has been working as domestic help in the village to arrange for funds for treatment. Jithendhar has borrowed as much as he could and managed to pay bills worth Rs 3 lakhs. He needs another Rs 16 lakhs for the liver transplant that will make Umeshwar better. His voice shakes in despair every time he mentions the amount he needs to save his son. It is simply beyond his means. It has been a very difficult time for these first-time parents. They are weighed with guilt and want to do everything they can to save their baby. 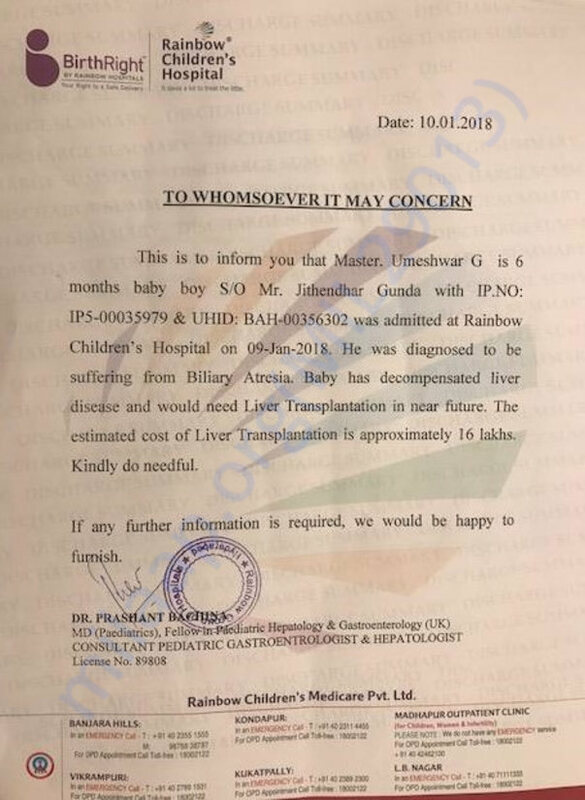 But all the determination in the world cannot save baby Umeshwar if his parents don't arrange funds for his liver transplant. Umeshwar's liver is completely damaged and the only thing the doctors can do is manage his condition till he gets a new liver. His parents have sold off their small farm and asked every one for help. They are desperate for some help saving their only baby. Contribute and give these parents some much-needed support in their uphill struggle. With your blessings, the transplant was done successfully on 9th February 2018. Currently, baby and his mother are at the hospital. Both have recovered well after the surgery. Baby will be kept under observation in ICU for a week, then he will be shifted to general ward for one month till he fully recovers and is fit to go home. Mother will also be discharged after one week, she is also recovering at a good pace. Thank you so much for your wonderful support. Thank you for all the overwhelming love and support that you have shown towards my son. Your support is helping us in this difficult time the most. He is a little better now, compared to earlier. A few tests were conducted and his grandmother is going to donate a part of her liver to him. Both of them are undergoing a few tests and based on the reports the doctors will be able to suggest the date of the transplant procedure. If all goes well and the reports are all normal then he will be operated within 2-3 days. Would request you all to please pray for his health and speedy recovery. Will keep you posted. Once again thank you for all the love and support.